Ideal for an Omega, heavy chain, or a lapel pin. A crowd stopper! You could never go unnoticed wearing this spectacular Arabian pendant. 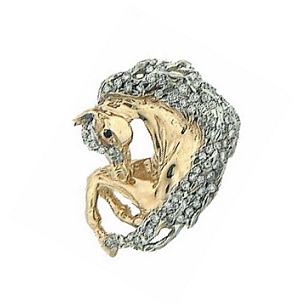 Offering pave diamonds in the forelock, mane, and a sapphire in the eye what could be better! This design offers 1.01 ct of diamonds.